Howa 1500 / Weatherby Vanguard. 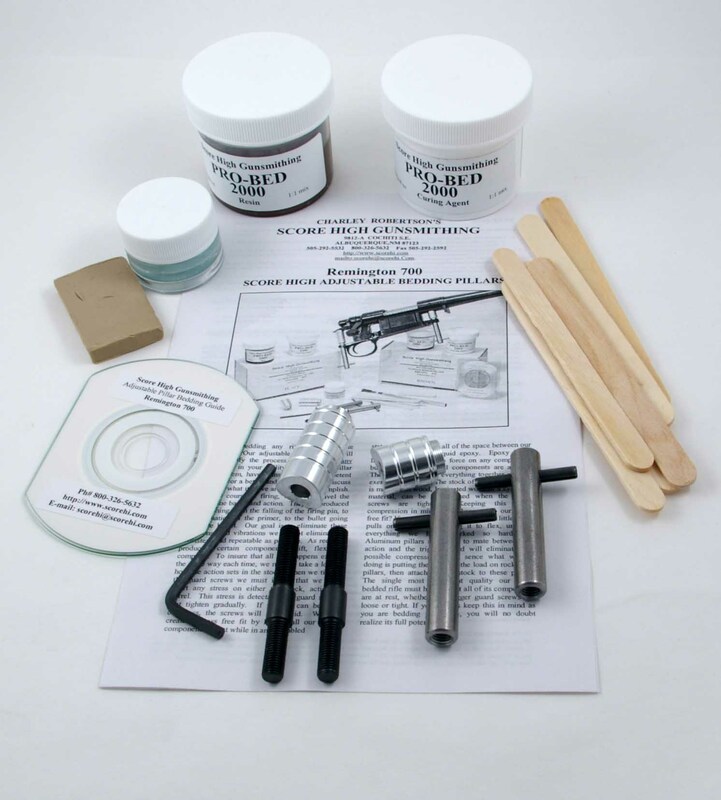 Deluxe Kit: $59.95 This kit comes with everything needed to to properly pillar bed a rifle, Adjustable pillars, reusable installation hardware, Black or Brown, Pro-Bed 2000 bedding epoxy mold release wax modeling clay and and detailed instructions. Refill Kit: $24.95 If you have purchased one of the other kits this is all you need. Includes pillars only. pdf, Instructional presentation on How to use our Pillar Bedding Kits. These presentations are very extensive. They cover many topics such as, how to identify a properly bedded stock, how to create a stress free fit between your stock and barreled action and how to use the Score High Pillar Bedding system to get there.